Dr. Nevrez Koylan was born in March 3, 1957, in Iskenderun, Turkey. After completing his primary and secondary education, he started his medical career by joining Istanbul Faculty of Medicine of Istanbul University in 1975 as a medical stdent and graduated in 1981. After graduation, he started to work at the Department of Internal Medicine of Istanbul University as a resident and acquired the “Specialist on Internal Medicine”degree in 1986. He completed his military and compulsatory governmental services between 1986 and 1989. At 1989, he joined Department of Cardiology of Istanbul Medical Faculty as a fellow of Cardiology and acquired the “Assistant Professor” degree in 1990. In 1996, he acquired “Professor” and “Specialist in Cardiology”degrees. He worked at the same institution until 2011. 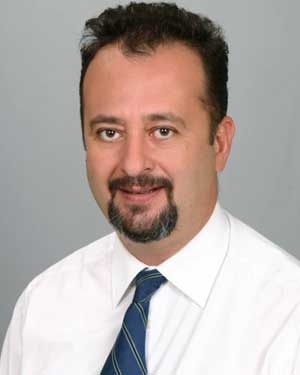 During his work as a member of the educational staff in Istanbul Faculty of Medicine, he acted as the head of “Dynamic EKG Laboratory between 1993 and 2006, member of “Research Ethics Committee” between 200 and 2002, and the president of the same committee between 2002 and 2003 for 3 years. Dr. Koylan is a member of Turkish Society of Cardiology since 1984. He was also accepted as the Fellow of European Society of Cardiology (FESC) and American College of Cardiology (FACC). He is also members of European Society of Hypertension (ESH) and European Atherosclerosis Society (EAS). As he fulfilled the criteria of EAS, he was awarded to be “European Hypertension Specialist”. He has contributed to 4 English textbools as section author and has 31 articles published in international peer reviewed journals (list attached) as well as many abstracts in international medical meetings.